I cannot resist buying books for my kids. Costco trips result in more books. And then there's those irresistible Scholastic book orders that I always feel compelled to stock up on birthday and Christmas gifts, knowing full well that they won't get put away until those special occasions. I am pretty sure that I'm a children's book hoarder at this point. However, books are something I always feel are worth investing in, so I'm okay with hoarding them. What I'm not okay with hoarding, though, is the dust jackets from the hardcover picture books. Seriously, why do they even bother putting those on children's books if they aren't going to be attached the book themselves. They just fall off. All. The. Time. 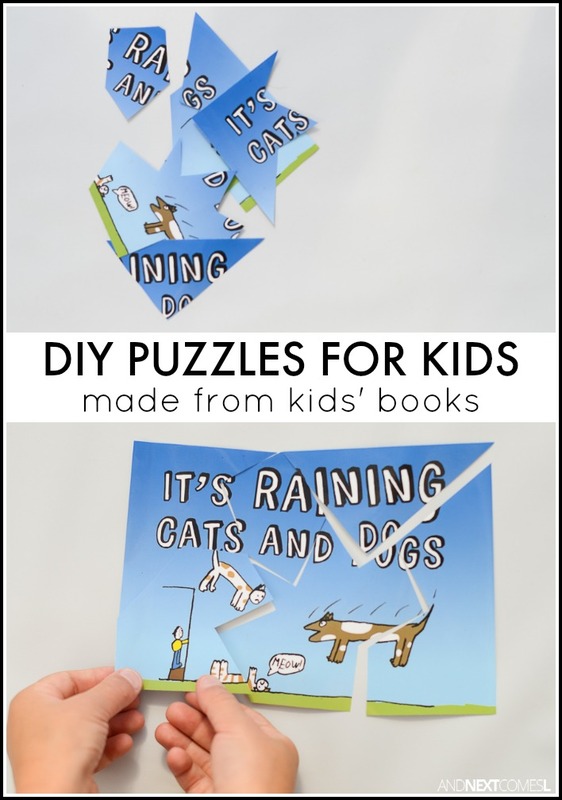 Thankfully, I've come up with a perfect solution: turn those dust jackets into easy DIY puzzles for kids! The kids can even make these simple puzzles themselves. And why not? It gives them a chance to work on fine motor and scissor skills. 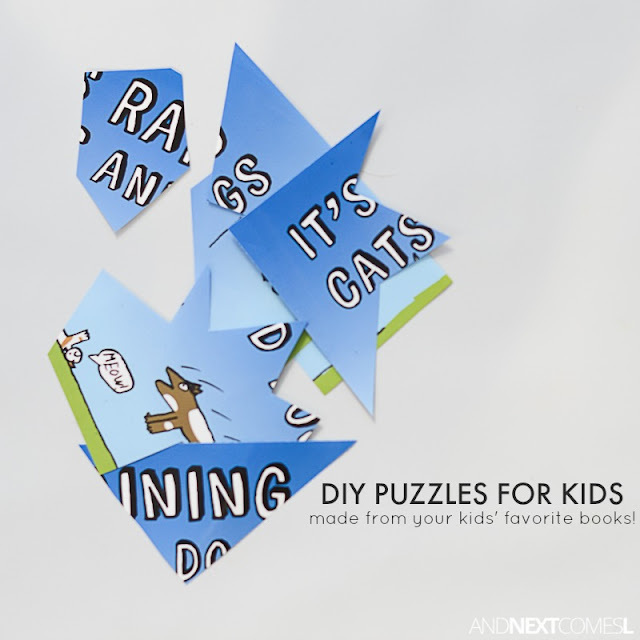 But I also love that these DIY puzzles can incorporate their favorite book characters!